Because Petróleos Mexicanos (Pemex) has not been able to comply with the supply of fuel agreed for Jalisco the previous week, the deficit in the hydrocarbon supply remains at 40%. 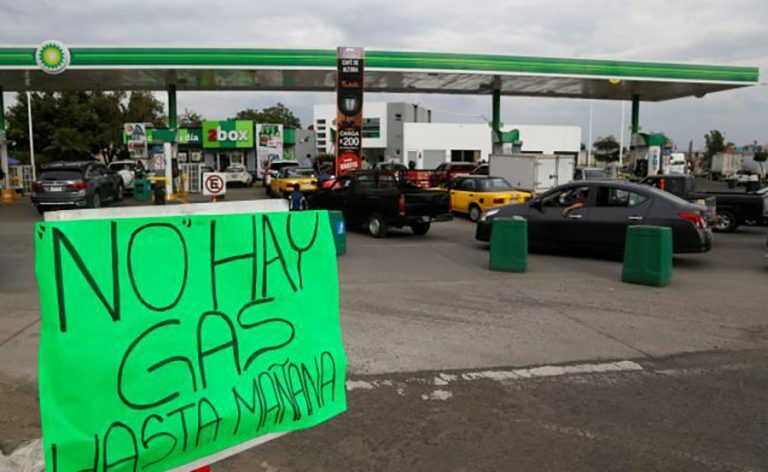 However, consumer panic purchasing by motorists in the Metropolitan Area of Guadalajara have caused 85% of the service stations to close, according to the coordinator of the economic cabinet of the state government, Alejandro Guzmán Larralde. The official said that since the Salamanca-Guadalajara pipeline was reopened to try to normalize the supply this weekend there has been a lot of intermittency in the shipment of fuel and only 50% of the gasoline that Pemex has agreed to send to the city has arrived. The previous week, after holding a meeting with the governors of the states affected by the shortage, Pemex reported that on Saturday it would reopen the pipeline to test and send 45 thousand barrels of fuel to Jalisco, where there are little more than 3.6 million vehicles; that would be added to another 45 thousand barrels that would be sent by pipes and thus it was estimated that on Monday the situation would be normalized. However, after the explosion in Tlahuelilpan, Hidalgo, the reopening was postponed until Sunday morning and had to be interrupted at least three times because clandestine taps were detected; this Monday morning Pemex reported that the pipeline remained open until 7 a.m., managing to send 22 thousand barrels of the 45 thousand agreed, and closed for lack of gasoline in Salamanca. Governor of Jalisco, Enrique Alfaro, who during a work tour of Puerto Vallarta pointed out that the federal government is far from solving the problem because it was no longer a logistics issue, but a lack of gasoline. Minutes later, the coordinator of the state economic cabinet, Alejandro Guzmán Larralde, said that the oil company had just informed them that the pipeline had just been reopened and would remain so until the 45,000 barrels agreed for this weekend were sent. After that, explained Guzmán Larralde, the pipeline will be closed and every 20 days 20,000 barrels of fuel will be supplied to Guadalajara; and adding the 45 thousand barrels that are supposed to arrive daily in pipes from the ports of Manzanillo and Mazatlan, the supply could reach 90% in the coming days, but motorists would be required to stop making panic purchases to improve inventories, said the official.